Maui, Maui, Maui! I’ve been hearing nothing but lovely things about this island since I was a little girl. Last Spring it was finally my turn to see for myself. After scouring the internet and reading all the reviews I booked a one bedroom suite at the Hanua Kai Resort and Spa in Kaanapali. Then began the restaurant research, I emailed friends and family for recommendations and tried to read through the lines of online reviews. Going on vacation can be a lot of work! The resort was gorgeous, right on the beach and well maintained. 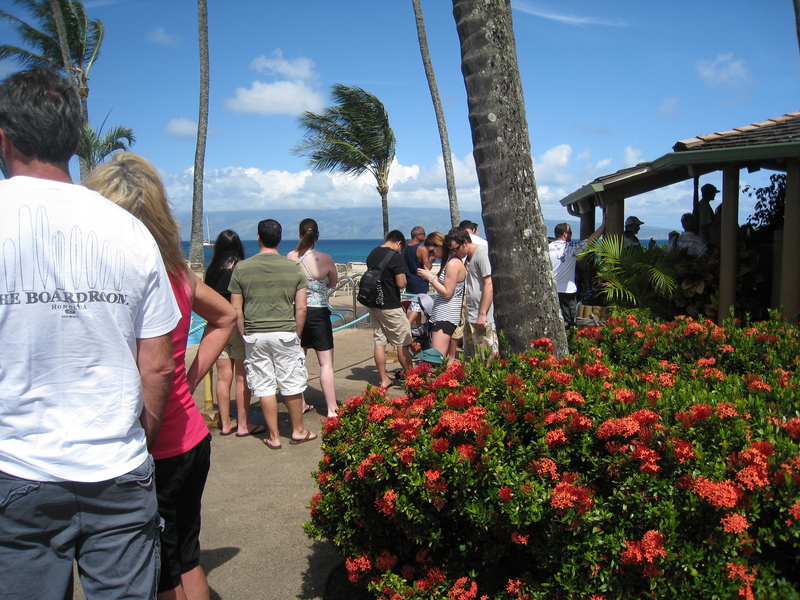 Duke’s Beach House is on the resort property between the three pools and the red sandy beach. We ate once at Duke’s and the best thing I can say about the food is that it was forgettable. Wish I could say the same for our first meal in Hawaii at Maui Tacos. Good thing that the resort was so fabulous, because the food hadn’t been that impressive. But, these choices had been more about convenience than anything. 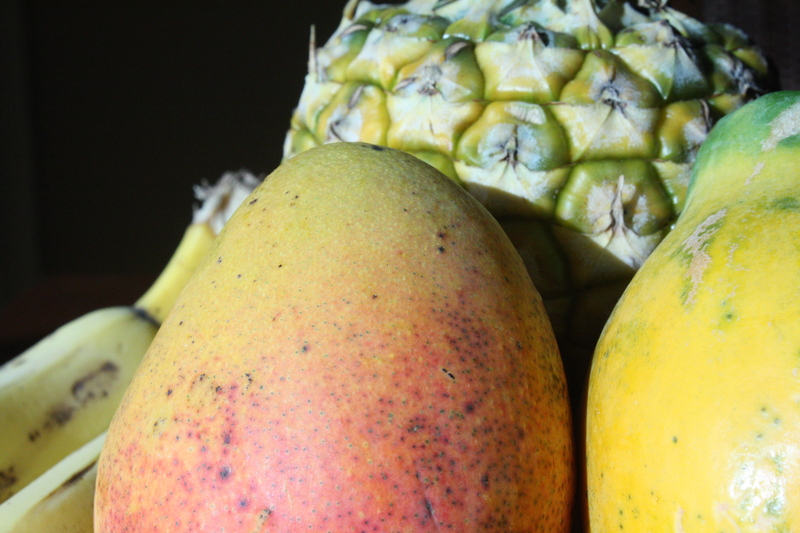 While the grocery store across the road had decent local produce, there was a nice selection at a farmer’s stand by the ticket booth for the Sugar Cane Express. We took the Sugar Cane Train from Kaanapali to Lahaina for the day, another disappointing lunch at one of the interchangeable ocean front restaurants was fixed by a trip to Hula Cookies & Ice Cream where you get to design your own ice cream sandwich that can be enjoyed in the nearby park under the banyan tree. 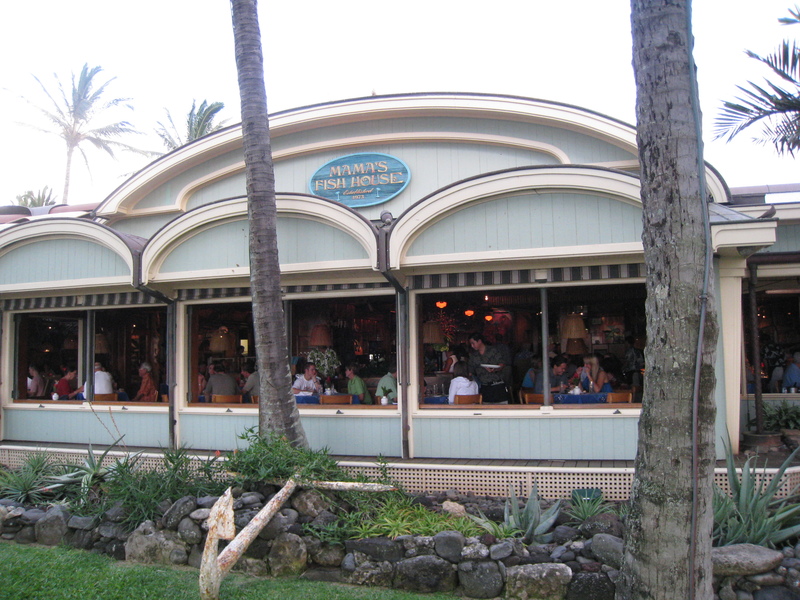 On other visits to Lahaina, we enjoyed brunch at Mala Ocean Tavern and a lunch at a mixed plate place, can’t remember the name but we wanted to go to Aloha Mixed Plate. For afternoon treats we sucked back some Jamba Juice and couldn’t get enough froyo at Island Froyo. One more meh place and then we’ll move on to the good stuff: David Paul’s Island Grill looked good from the outside, but you shouldn’t judge a menu by its cover. 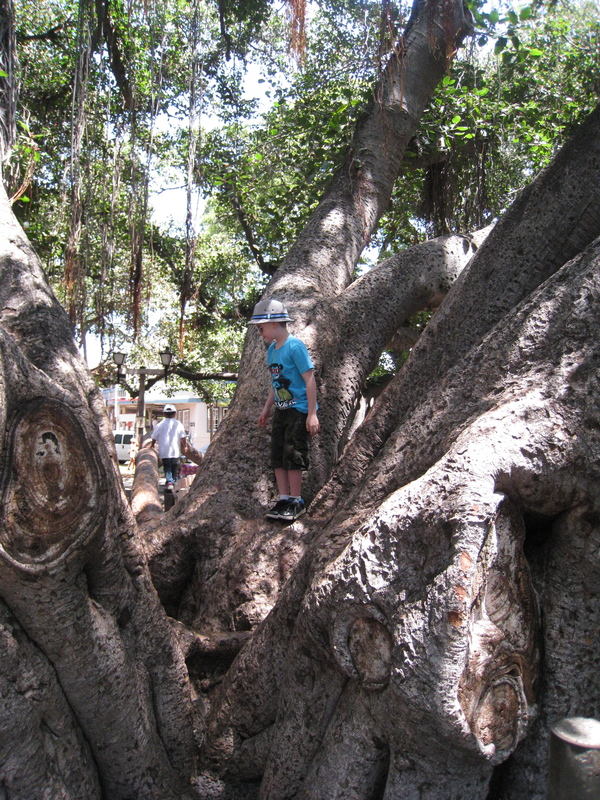 When we headed over to the fancy side Maui to check out Wailea our luck changed. We tried out a brand new restaurant called Monkeypod Kitchen by Merriman. The decor was bright and fresh, the service was professional and warm, we felt right at home. The food was locally sourced, clearly fresh and prepared with care. 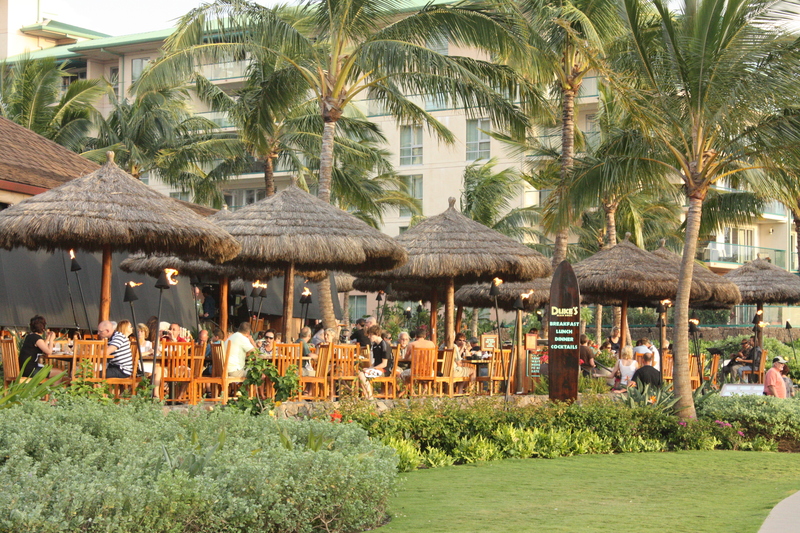 Based on our positive experience at Monkeypod, we made a reservation at Merriman’s the upscale sister restaurant located in the Kapalua Resort. It was a delightful experience with a completely open dining room and top notch service provided by our server, J.J. Again, the freshest ingredients treated with respect.My husband, Exec Chef, enjoyed it so completely that he bought a gift certificate on the spot for family members that would be honeymooning in Maui a few weeks later. Another hit in the Kapalua Resort was the oceanic treats of Sansei Seafood Restaurant & Sushi, fantastic local fish and great service in a busy room. After some memorable meals we feel like we are on a roll, hitting our stride and walking on sunshine. Our best brunch of the trip was worth the 45 minute wait in the balmy ocean breeze. The Gazebo is just that, a round roof over tables and a kitchen right on the beach. 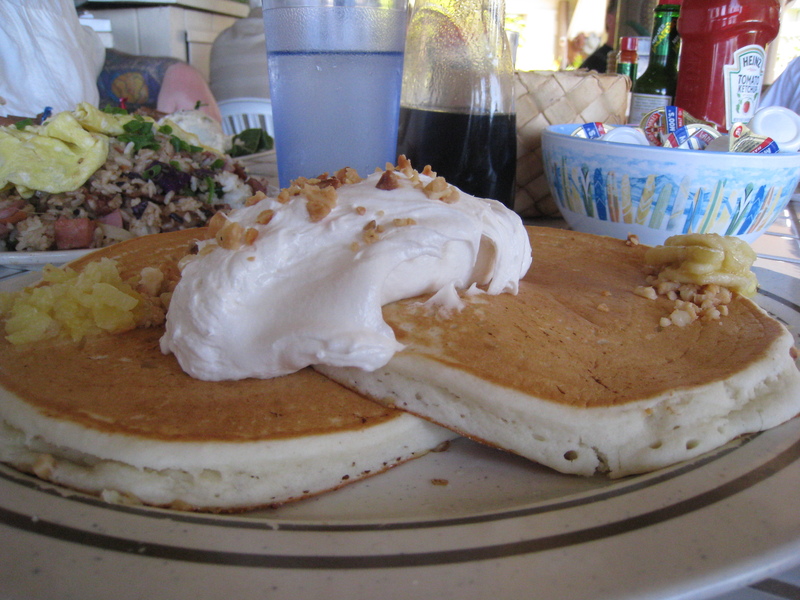 The fluffy pancakes are served with coconut syrup and I have to recommend the fried rice as a must share plate. 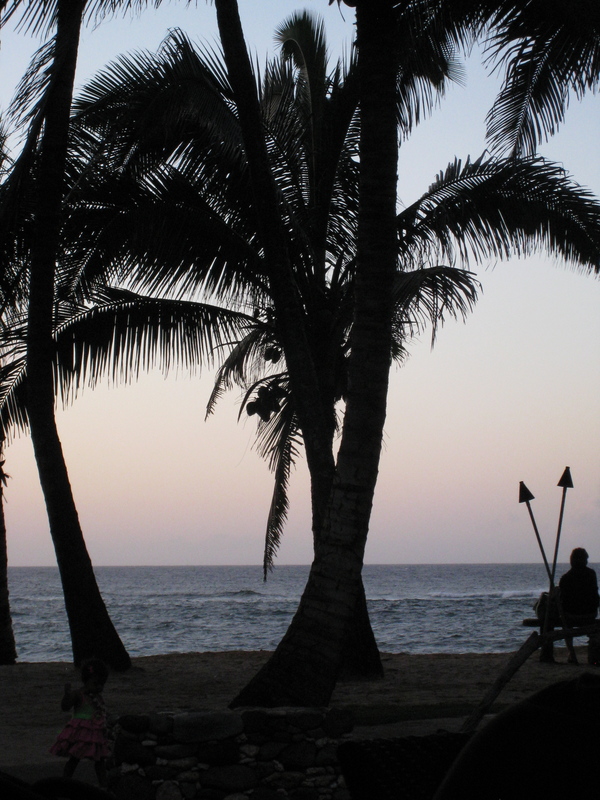 One of our favourite spots on Maui was a little town called Paia. We had a nice dinner at Milagros Food Company, but the best part was shopping at Wings Hawaii, a lovely shop filled with beautiful jewellery and clothing all made in Hawaii. We ended our trip on a high note with a dinner at Mama’s Fish House in Paia. It was a picture perfect setting for an Elvis movie and it’s been around since he was the king. While the view was amazing and the food was excellent, it is the only time I’ve heard Exec Chef say that a dinner was overpriced! 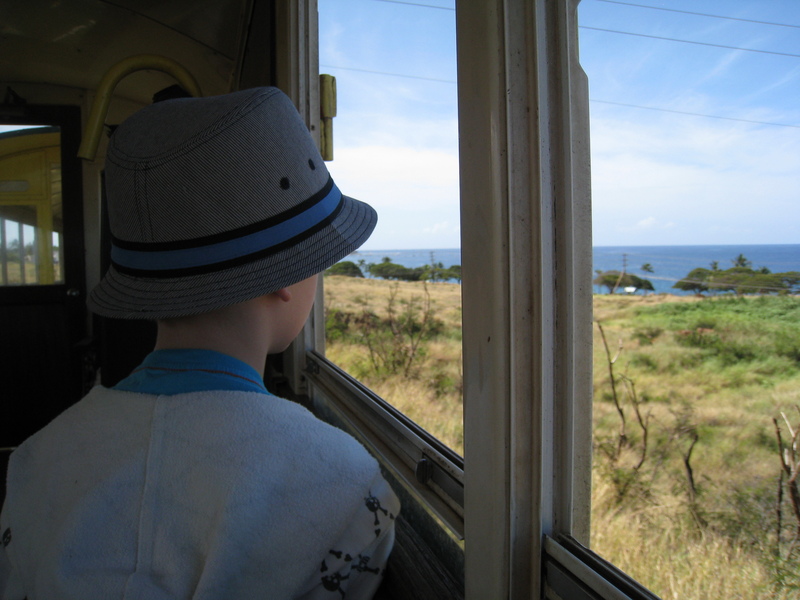 Posted in Kid Friendly, Memories, Places, Restaurants, Travel and tagged Duke's, Hanua Kai, Hawaii, Maui, Sugar Cane Train. Bookmark the permalink.